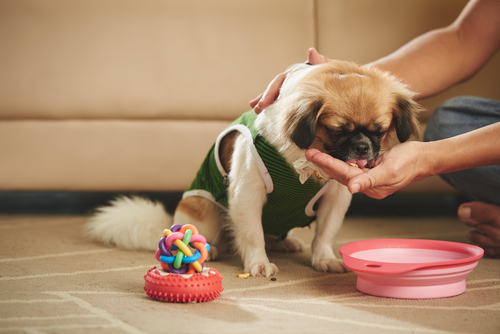 We love to feed our dogs healthy snacks and want to be careful not to overload them with extra calories. Carrots are a great way to add extra vitamins to your dog’s diet and give them something to chew on. In fact, adding carrot’s to a dog’s diet is not only beneficial but encouraged. Carrots for dogs are great source of antioxidants and vitamin A. Vitamin A is crucial in maintaining overall health, for both dogs and humans. For dogs, vitamin A is essential for bone growth, reproduction, cellular differentiation and a good immunity builder. Carrots are also great for keeping a dog’s eyes healthy and his vision sharp. Just as in humans, carrots are great for a dog’s vision due to their beta-carotene. They also give your dogs a serious boost of potassium, niacin, calcium, phosphorus, magnesium, and vitamins A, B, C, D, E and K. Better yet, carrots are loaded with lycopene and lutein — essential phytonutrients that may help protect eyes from free-radical damage and UVB radiation. If you are unable to brush your dog’s teeth, carrots will help polish your dog’s pearly whites and combat plaque build-up. On the plus side, while your dog is chewing on carrots and cleaning his teeth, he’s also eating a food that helps his teeth stay healthy from the inside, too. Carrots may help to support dental health by gently scraping the teeth and preventing plaque buildup. And keep them busy crunching and out of the trash can! Carrots are high in soluble fiber. Just nine baby carrots (about 3oz), contains 2 grams of fiber. If your dog has loose stools, he may benefit by adding carrots to his diet. The added fiber may help to add some bulk to his stools. As always, be careful when adding carrots to your dog’s and start slowly. 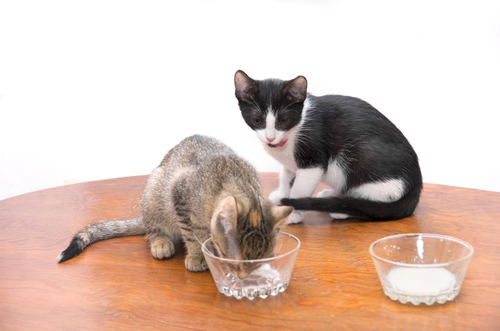 They might cause some gas and intestinal upset if your dog isn’t used to the additional fiber. 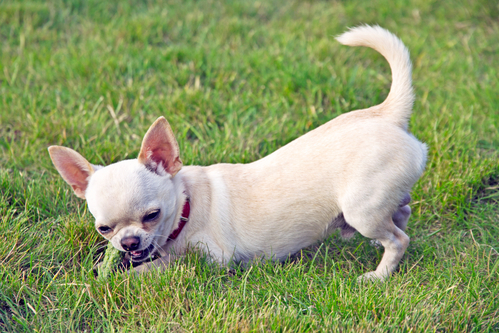 Be sure your dog gets plenty of fresh water to assist the fiber through the digestive system. How you feed carrots to your dog largely depends on your dog’s breed and your dogs’ preferences. For smaller dogs, you’ll want to give them sliced or baby carrots, so they can break the carrots apart easily without choking on them. Bigger dogs like Labradors will usually break the carrots into small pieces like sticks. Some experts think that feeding raw, peeled carrots to dogs are more beneficial (definitely for teeth) while other experts recommend feeding cooked carrots so your dog is able to get properly digest the nutrition from them. Studies have shown that humans who eat cooked, pureed carrots better absorb beta-carotene, the precursor of vitamin A. Some dogs have a harder time digesting raw carrots and it will pass through them whole which is why steaming or cooking them might be preferable. 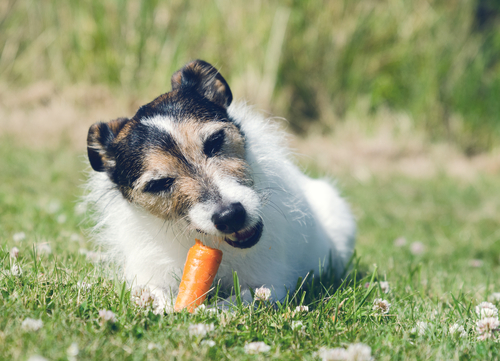 Raw, cooked or sliced – carrots are a great addition to your dog’s diet. A healthy, low-calorie, high fiber treat that even add a ton of nutrients. Carrots in their natural state can cause pancreatitis, especially on older dogs. The vitamin benefits are achieved when steamed or shaved with a peeler. The digestives enzymes required to digest a large piece of carrot is over taxing to the pancreas. Better to let them enjoy a natural protein that they require.